This ultimate two hour massage treatment is ideal for pampering the whole body and is a fantastic gift idea for any occasion – Mother’s Day, birthdays or Christmas! 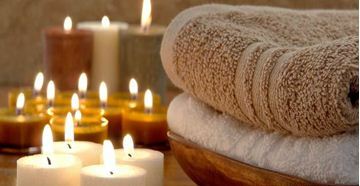 After all, who doesn't love taking some well deserved time out for themselves for a luxurious pamper session? You might even want to get a certificate for yourself! Located on the Gold Coast. This pampering experience located in the Gold Coast so its ideally placed if the couple lives nearby or has made it a honeymoon destination! After their treatment, you are only a 2 minute walk from the beach on Surfers Paradise. Located right on the doorstep of the Gold Coast, this package provides an ultimate pampering experience and is ideal for unwinding and relaxing.